Law Lecturer, Dr Thomas Bennett, explores the concept of 'harm' in the law relating to invasions of personal privacy. Dr Thomas Bennett, a Law Lecturer and privacy law specialist in the City Law School, has co-produced and presented the second in a series of Media Law Podcasts with Dr Paul Wragg, an Associate Professor at the University of Leeds. In the second episode,‘Invasion of Privacy – What’s the harm?’ the presenters debate the ‘harm’ element in English privacy law, and argue the merits of this summer's high-profile High Court case, Cliff Richard v BBC. They also review Mark Tushnet’s new book, Advanced Introduction to Freedom of Expression (Edward Elgar 2018). The first series of the Podcast, which will run during the 2018-19 academic year, is based on the theme of “Responsibility and Irresponsibility”. Each episode will focus on a particular topic connected to that theme. The podcast will publish episodes several times a year, with the long-term aim of producing monthly outputs and will prove to be useful resource for students, academics and practitioners in the fields of law, journalism and media/communications. In the first episode, Tom and Paul were joined by Helen Belcher, one of the founding members of Trans Media Watch. They discussed the portrayal of minority groups in the mainstream media and the suitability of existing mechanisms for the regulation of publications that portray minority groups in misleading and discriminatory ways, and asked whether enough is being done to protect minority groups from being misrepresented. The Media Law Podcast can be streamed on Soundcloud and downloaded for offline listening on Soundcloud’s apps, iTunes and Spotify. 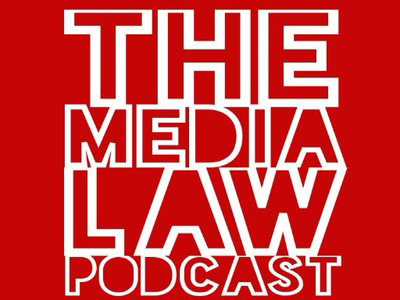 The Media Law Podcast can also be found on Twitter @MediaLawPodcast.